Do you work within a team composed of two, three or four people? 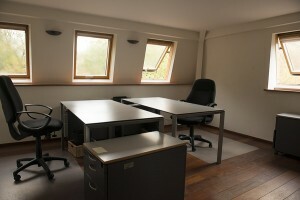 Are you looking for an office for your team? Are you looking for a peaceful working environment where you can welcome visitors and meet other professionals? GROENENDAEL.pro offers the possibility to choose one of our 4 shared workspaces currently available. Each of our 18 to 20m2 offices is furnished and offers a view of the garden or the forest.